1. Suggested Pirate Themed Books to read with your theme. 3. 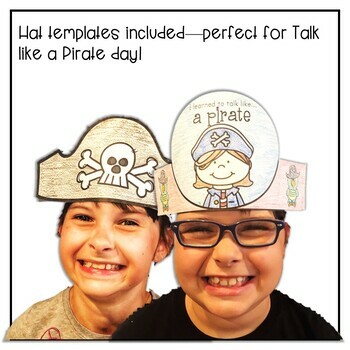 Pirate Fact or Fiction--this activity includes factual and fictional sentences. 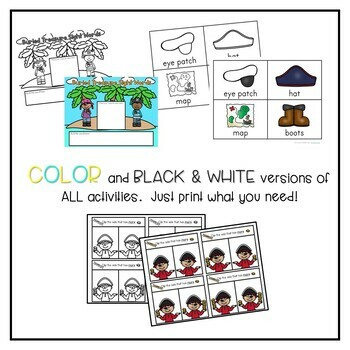 This activity helps students decide which ones are real and which are pretend. 5. 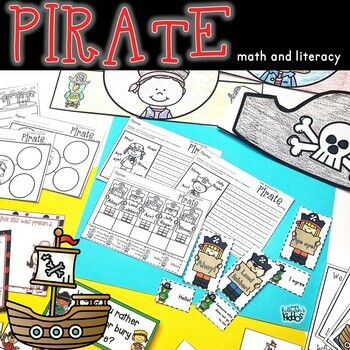 An original full color emergent reader book, "We Are Pirates"
10.Two different versions of "Sink the Boat" math card game to assist with number recognition and addition facts.